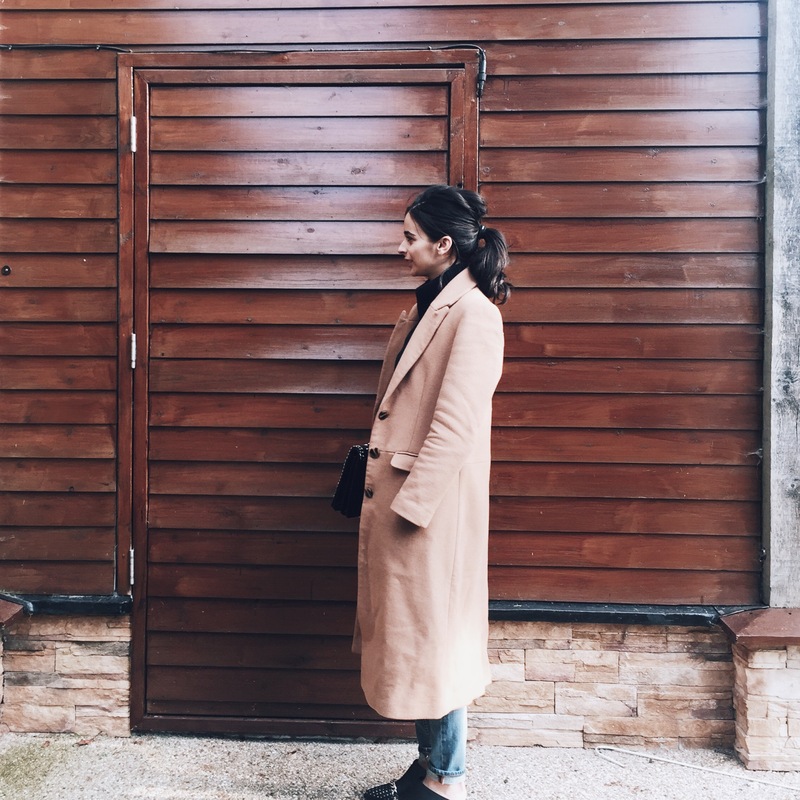 This giant oversized ASOS camel coat is probably one of my super favourite coats that I own (you can buy similar here, here and here). What I love about this coat is the masculinity structure. It’s a classic and timeless piece that will never go out of style. 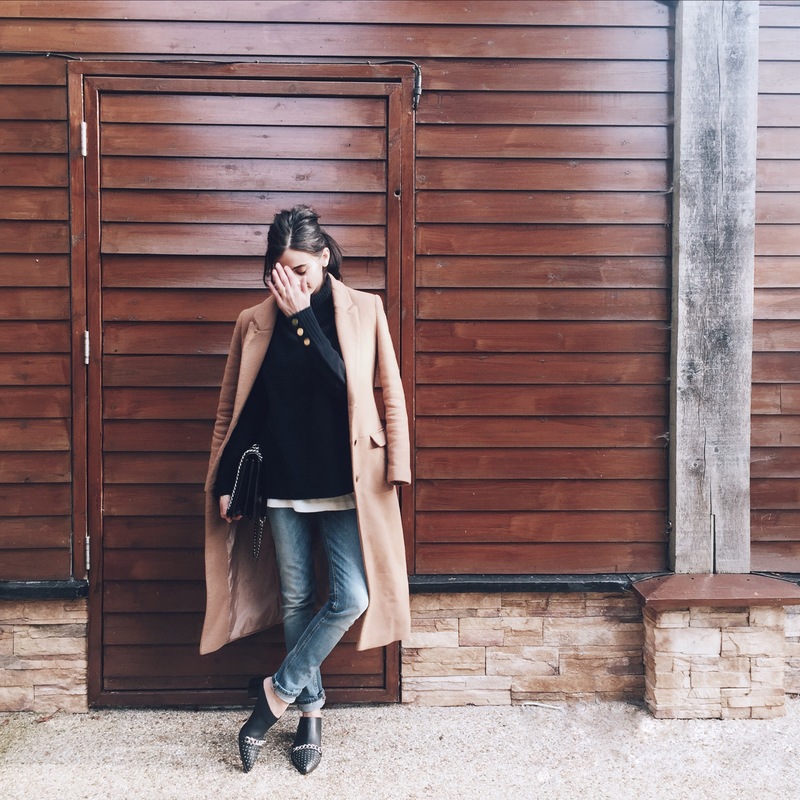 I’ve styled the coat with layers as it’s a little cold outside! 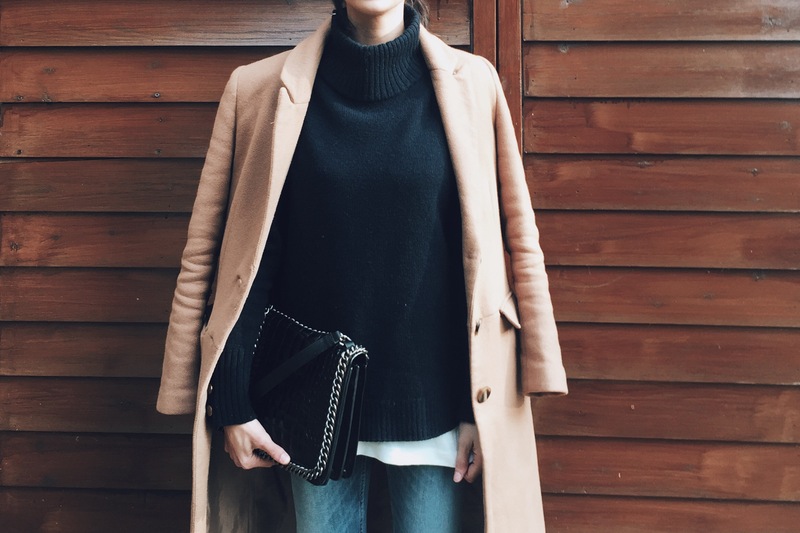 I’m wearing the Reiss Asher turtleneck jumper (now sold out from their site but you can purchase here and similar here) Nudie jeans (here), Zara bag (here) and of course the Senso Irene II Mules. 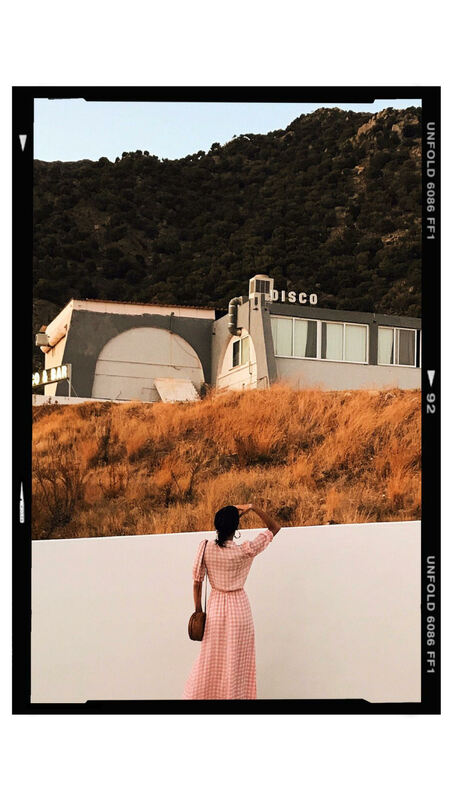 I am a huge fan of the Australian brand Senso and the Senso Irene II is the latest to add my growing collection! 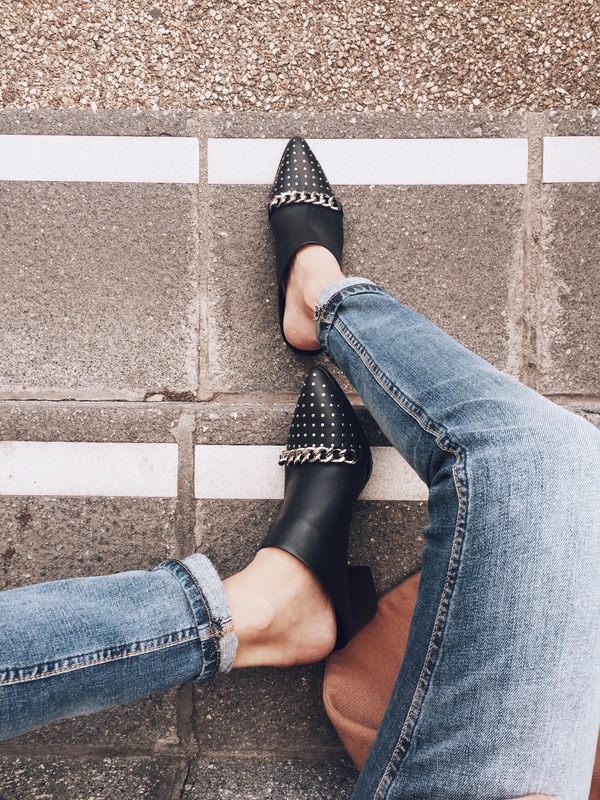 These mules are beautifully studded with a chunky chain detail to the front. 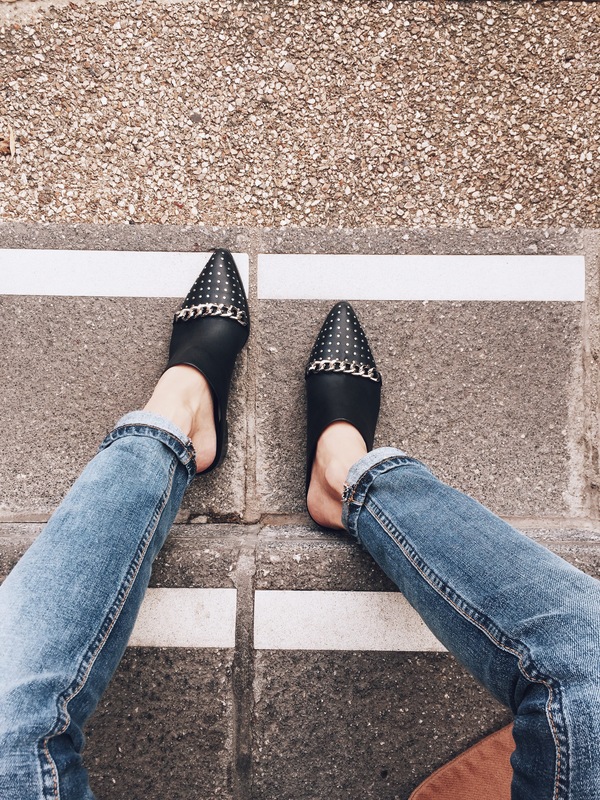 With its pointed toe and slip on design this makes for the perfect day shoes! A casual and minimal mule with tough luxe biker details look great teamed with a pair of jeans, dress or skirt! You can purchase these from Very exclusive ( here ) and its the site I always go to, to purchase my Senso shoes. What I especially like is that being a mum (two under two!!) everyday is a busy day and these shoes are comfortable, quick to put on (and off!) whilst looking stylish! 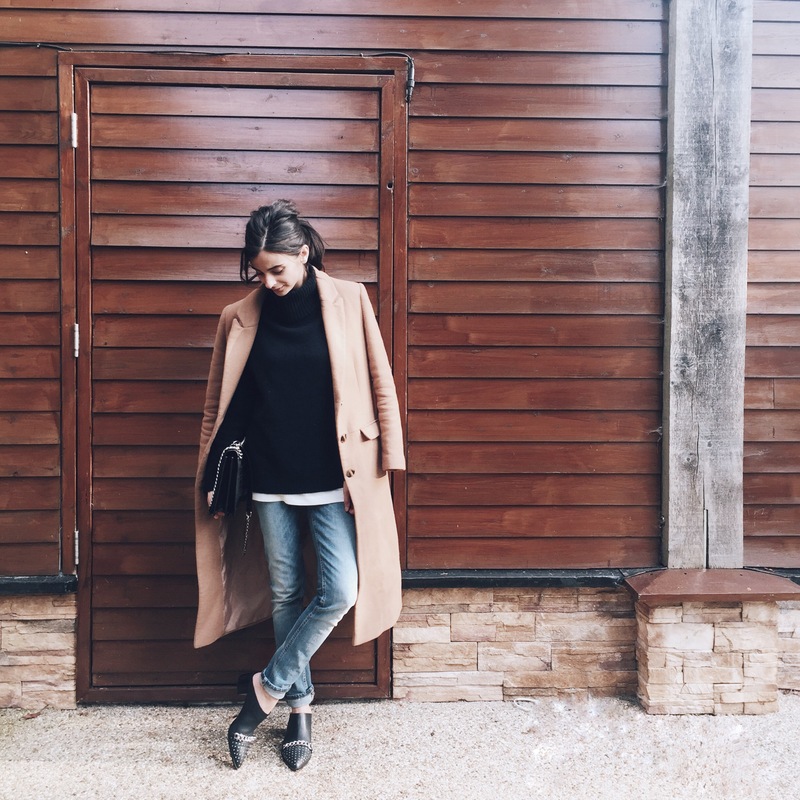 Who says being a mum means you can’t be stylish?! Are these shoes now sold out? ?